SEATTLE – August 7, 2018 – Seattle Children's has opened a chimeric antigen receptor (CAR) T-cell immunotherapy trial for children and young adults with relapsed or refractory non-central nervous system EGFR-expressing solid tumors. In the phase 1 trial, STRIvE-01, cancer-fighting CAR T cells will target the EGFR protein expressed in many childhood sarcoma, kidney and neuroblastoma tumors. "Despite employing modern treatments that offer more intensive therapy or new drug combinations for children with solid tumors, we've been unable to improve outcomes for our highest-risk patient groups," said Dr. Katie Albert, an oncologist at Seattle Children's and lead investigator for the STRIvE-01 trial. "It is those groups that push us to come up with innovative approaches so that we can see all of our patients cured of their cancer." While CAR T cells engineered to fight cancer have shown promise for curing childhood leukemia in clinical trials at Seattle Children's, solid tumors pose unique challenges. Solid tumors exist in protective microenvironments that help them evade the immune system, making it more difficult to keep the CAR T cells stimulated. "In order for this therapy to be effective against solid tumors and induce remission for our patients, we have to find a way to not only get the CAR T cells into the tumor microenvironment, but also ensure they can survive and thrive there," said Albert. To construct the CAR T cells for STRIvE-01, researchers led by Dr. Mike Jensen at the Ben Towne Center for Childhood Cancer Research at Seattle Children's Research Institute will reprogram a patient's T cells to target the abnormal EGFR protein expressed on the surface of many solid tumor cancer cells. In normal tissues, EGFR is responsible for cell growth and development. When expressed in malignant solid tumors, EGFR has been associated with more aggressive and invasive growth. As Albert explained, "Normal tissue, including skin, is enriched in EGFR, so it is advantageous to equip the CAR T cells with an antibody that recognizes EGFR on tumor cells and leaves healthy cells relatively protected." "By including a CAR T-cell therapy that targets two proteins, we're a step ahead in addressing a known challenge with solid tumors – the cancer-fighting T cells won't hang around long enough to get to the tumor tissues and keep the cancer from coming back," said Albert. "Building on what we've learned in our trials for leukemia, our hope is that the secondary target of CD19 will constantly interact with B lymphocytes in the blood to promote the expansion and persistence of the EGFR-directed CAR T cells." "We recognize that it will likely require a range of therapeutic strategies to manipulate the immune environment enough to cure patients with hard to treat solid tumors," said Albert. "I'm excited to have the opportunity to incorporate our most advanced immunotherapy strategies into a solid tumor program that I hope will provide families the most effective and comprehensive CAR T-cell treatment options for their child's cancer." STRIvE-01 joins a robust pipeline of T-cell immunotherapy trials underway at Seattle Children's focused on harnessing the immune system to offer better treatment options for children and young adults with cancer. Seattle Children's is dedicated to improving CAR T-cell immunotherapy for a variety of childhood cancers to the point that it helps patients achieve long-term remission – and ultimately – a cure. Ranked as one of the top children's hospitals in the country by U.S. News & World Report, Seattle Children's serves as the pediatric and adolescent academic medical center for Washington, Alaska, Montana and Idaho – the largest region of any children's hospital in the country. As one of the nation's top five pediatric research centers, Seattle Children's Research Institute is internationally recognized for its work in neurosciences, immunology, cancer, infectious disease, injury prevention and much more. 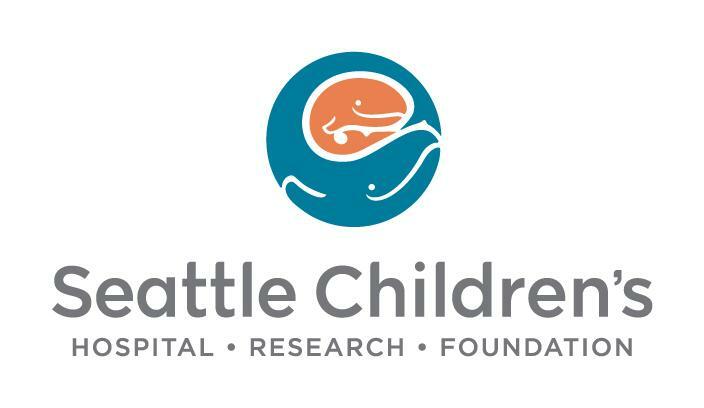 Seattle Children's Hospital and Research Foundation works with the Seattle Children's Guild Association, the largest all-volunteer fundraising network for any hospital in the country, to gather community support and raise funds for uncompensated care and research. Join Seattle Children's bold initiative – It Starts With Yes: The Campaign for Seattle Children's – to transform children's health for generations to come.